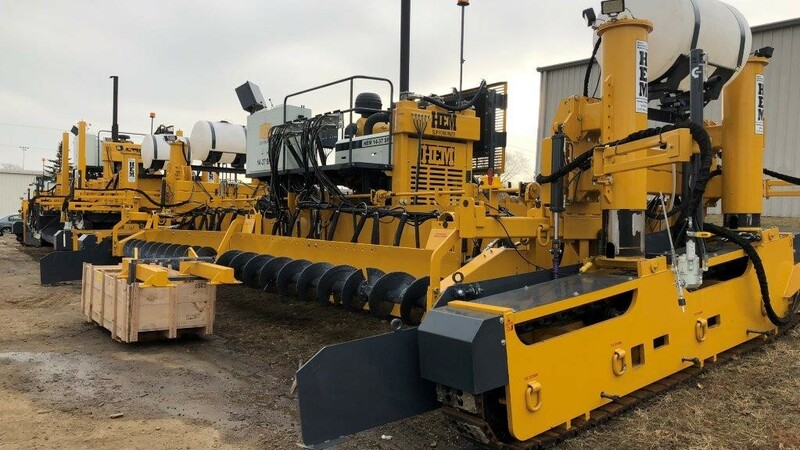 HEM Paving recently worked with our partner FedHarmony in procuring, manufacturing and transporting a three-machine concrete paving ‘train’ for the United States Armed Forces. FedHarmony is an Arlington, VA company which serves as the liaison between manufacturers like HEM and federal government agencies, (www.fedharmony.com). 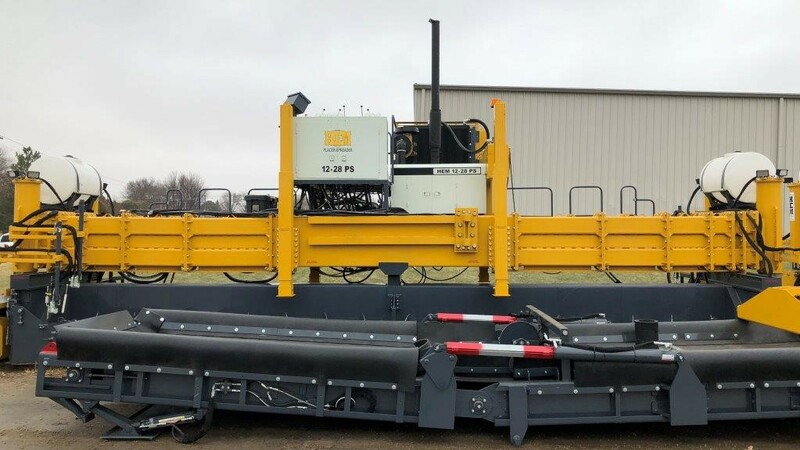 The HEM PS12-28 Placer Spreader, SFP14-37 Slip-Form Paver and TC12-28 Texture Cure machine were recently commissioned at HEM headquarters in Grundy Center, Iowa and are en route to their final destination in-theater in the Middle East. This combination of equipment gives the US services the ability to rapidly deliver concrete to the HEM PS12-28 which is capable of unloading a 10-yard dump truck in less than 5 minutes, conveying the concrete into the paving lane where the PS12-28 strikes off the concrete to the correct depth and begins the process of consolidation. 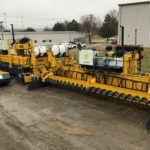 Immediately behind the PS12-28, the HEM SFP14-37 provides full consolidation and placing of the concrete and the included Auto Float system provides a high quality finish reducing the manpower typically required behind a paver for finishing. 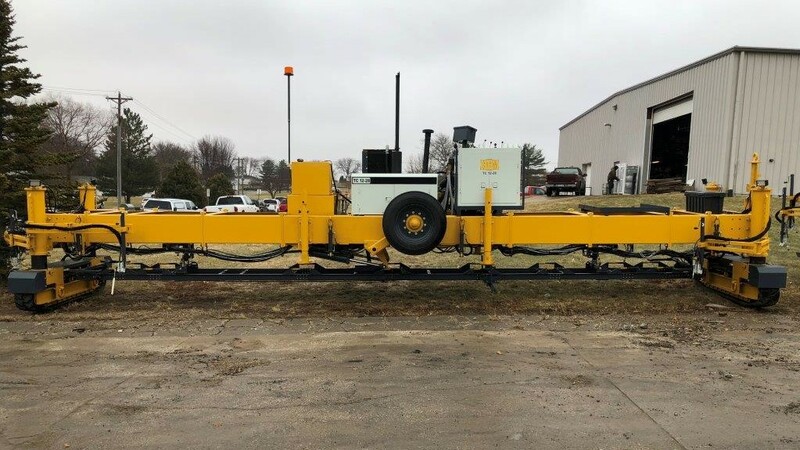 The HEM TC12-28 will then apply a tined finish to the concrete and/or apply a full coverage of liquid curing compound, insuring that the freshly paved concrete will cure properly in the Middle East temperatures and again eliminating manpower typically required for tining and manually applying a cure coat. As a proud ‘Made In The USA’ manufacturer, HEM is honored to have the United States Armed Forces as one of our long-standing customers.